My family loves this licking finger dish! Wash the Chinese Vermicelli and soak in water for a few minutes. Put in hot water until soft, take out on a big bowl. Put in ingredients and mix well. Set aside for use. Clean the crabs and chopped each to 4~6 pieces. Pat dry, sprinkle a thin layer of corn starch. (How to handle live crabs - Steps). Saute ginger, garlic and shallot in oil, take out and set aside on a dish. 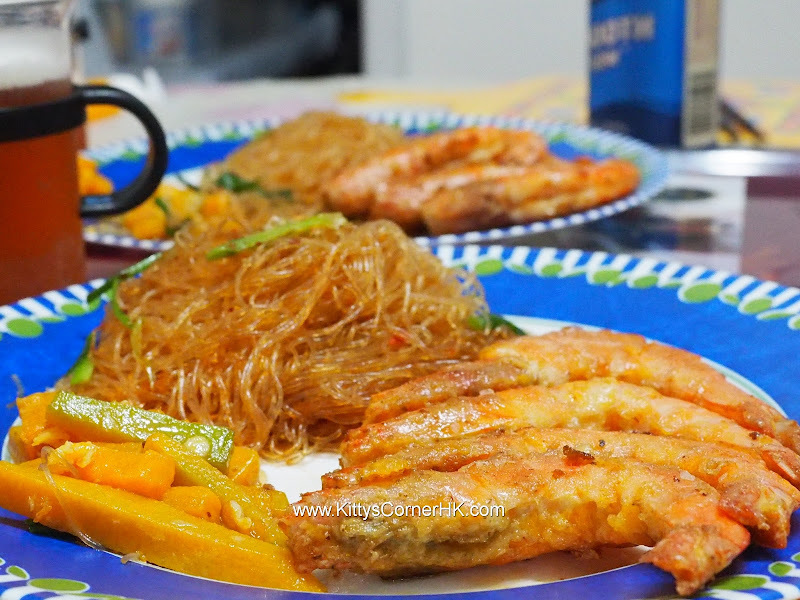 Add 2 teaspoons oil and until it's hot, add crab pieces one by one. Tilt and wok and let the crab pieces get heat evenly. Let it fried for about 5 minutes (turn in between when they start change to slightly golden but do not move them often in order to keep the texture). 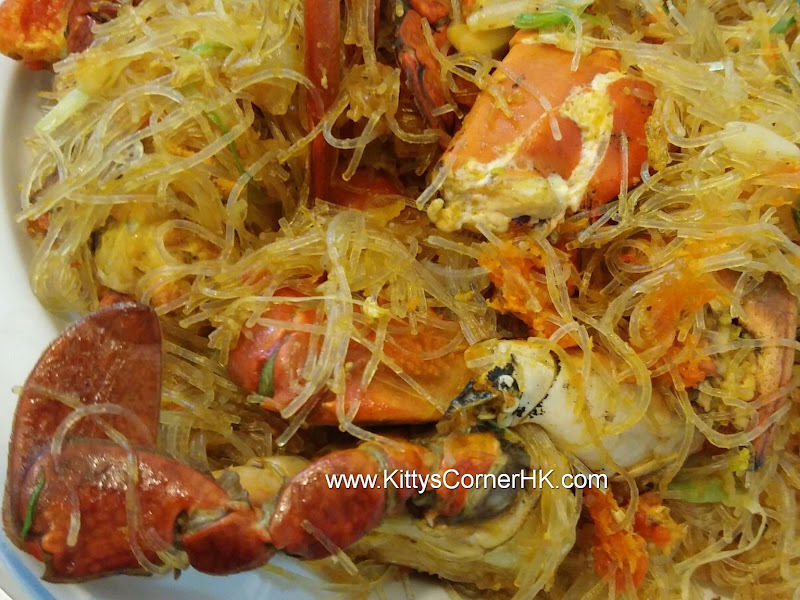 Put in (1) the vermicelli prepared in advance on top of the crab pieces, put in (3) spring onion sections and sauted ginger, garlic and shallot, and cover for 2 minutes. Put in shaoxing wine, stir fry and cover for another 2 minutes. Make sure the crab is cooked.